Patty’s Cakes is amazing! They recently made our wedding cake and it was beautiful but more importantly it was delicious. All of our guests kept telling us how good it was. As an added bonus, they are super easy to work with and very upfront about their pricing (available on their website) which is really reasonable. If you want a beautiful wedding cake that actually tastes great go see Patty’s Cakes! Thank you so much Patty’s Cakes for our beautiful wedding cake!! It was everything we asked and hoped for. The 3 layers of our choice were delicious!! So many of our guests asked where we got it. Patty’s cakes prices their cakes very well. They are also extremely reliable, delivering cakes on time. But best of all, not only did our cake look pretty, it tasted delicious! I must say the red velvet was everyone’s favorite! Thank you!!! Patty’s Cakes is amazing! They recently made our wedding cake and it was beautiful but more importantly, it was delicious. All of our guests kept telling us how good it was. As an added bonus, they are super easy to work with and very upfront about their pricing (available on their website) which is reasonable. If you want a beautiful wedding cake that actually tastes great go see Patty’s Cakes! I was taken with how straightforward Patty’s Cakes’ website, particularly with generating a quote estimate. We made sure to have an early appointment and had fun sampling flavors and selecting cake designs. While we were outside of Patty’s delivery range, our officiant lived close by the shop and thankfully picked up the cake for us without a hitch. The cake was soft and fluffy, it certainly held its own against the onslaught of other desserts and food served throughout our wedding. We are so grateful for the helpful suggestions and friendly service. We loved our vanilla cake with fudge and raspberry filling and will come back for more! I am beyond grateful for choosing patty’s cakes as my wedding cake vendor! Everything about patty’s cakes was so professional! The cake tasting was so easy and fun and I love how they made it sweet and simple! The hard part was choosing what flavor to get because everything tasted so good! Everyone at our wedding raved about the cake! We even had some guests eat more than one slice! A special thank you to Philip who helped us out! Thank you patty’s cakes! You truly made my wedding day that more special. I used Patty’s cakes for my wedding cake this past September 2017. 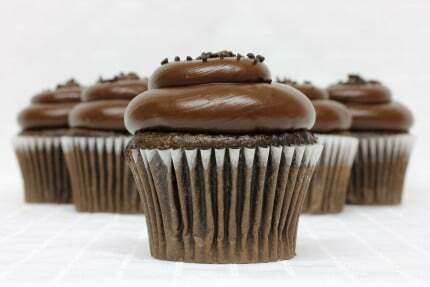 I have had Patty’s cupcakes in the past and they were consistently tasty and the service was always friendly. What I loved most about working with Patty’s cakes for my wedding cake was how easy and transparent the process was. Their website has an easy to use tool to help you find a cake within your budget. The calculator lets you choose your approximate number of guests and then shows you the price in tiered cake vs sheet cake so you can find a size cake that will fit your budget and guest count. I also liked that the decorating is included in the price. Many other bakeries I talked with had separate pricing for decorating and the whole process became complicated and difficult to budget. Patty’s cakes have a book of design options and you can customize them from there. Besides making the process easy our cake was beautiful and delicious as well, it stayed super moist and flavorful even when we were eating leftover several days later! I would highly recommend Patty’s cakes for your wedding or any other event. We loved our experience with patty’s cakes! We were so happy with how beautiful the cake and cupcakes were! The cake and cupcakes tasted so delicious and we got compliments for days after the event on everything. 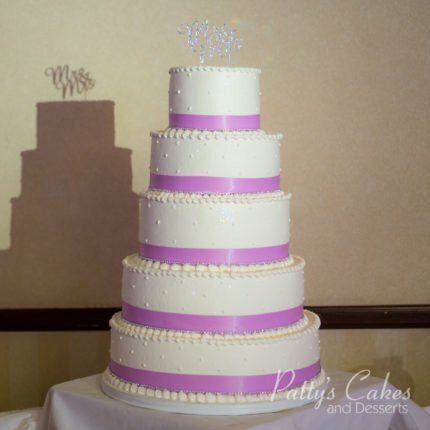 I would highly recommend using patty’s cakes for your wedding and I will definitely be using them again! [Review] Write A Review For A Free Cupcake! The cupcakes here are beautiful and delicious at the same time. write a review to receive your free cupcake! I found this place randomly as it is close to my job. I have a sweet tooth and knew I had to try it when I saw it! It is so cute inside and out and it smells so delicious as soon as you walk in! I got a chocolate with chocolate chip, a red velvet with white moose and a chocolate on chocolate and they were amazing!! The chocolate with chocolate chip frosting with my favorite!! Totally recommend this place! The cakes were so soft and I love that they frost them for you on the spot! Found this place last minute as the other place I was planning on using that had good reviews provided a very subpar tasting cake. I didn’t have time to come in and try out the cupcakes. When we got the cupcakes for the event, they looked great and, most importantly, tasted amazing! So many places just make their bakery items look good … these cupcakes really tasted good. I got many compliments from the guests and some claimed these were the best cupcakes they’d ever tasted :) We ordered a variety of different ones the place offers. My only suggestion would be to be careful with stacking the boxes … the cardboard is very thin. As we ordered multiple boxes, we stacked them in the car and at least two of the boxes ended up with squished on the top cupcakes.